Secrets, Part 2 - How Will Producers Respond to the Coming Natural Gas Glut? Every Time I Turn Around - Diluent Pipe Reversals to Help Alberta's Crude Takeaway? Don't Dream It's Over - Negative Permian Gas Prices, But Is the Worst Yet to Come? The U.S. natural gas storage inventory lagged behind year-ago and five-year average levels throughout this past winter. The market started the withdrawal season in November 2017 with about 200 Bcf less in storage than the prior year. That year-on-year deficit subsequently ballooned to more than 600 Bcf. Compared to the five-year average, the inventory went from about 100 Bcf lower in November to a more than 300-Bcf deficit now, at the beginning of spring. An expanding deficit in storage is typically a bullish indicator for price. Yet, the CME/NYMEX Henry Hub natural gas futures contract struggled to hold onto the $3.00/MMBtu level it started the season with in mid-November, and, in fact, has retreated back to an average near $2.70 in the past couple of months — about 25 cents under where it traded a year ago. Today, we look at the supply-demand factors keeping a lid on the futures price. When we looked at the gas supply-demand balance back in November 2017, in Signs, Signs, Everywhere Signs, the withdrawal season was just kicking off and the gas market appeared to be set up for a bullish winter. The injection season last spring, summer and early fall had wrapped up on a strong note. 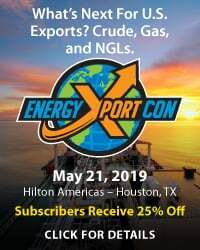 Gas production was advancing, but gas demand growth, led by LNG exports, was outpacing supply growth overall, and, as a result, the storage inventory level was falling further and further behind historical levels. By mid-December 2017, however, the mood had shifted. The market was heading into what typically are the coldest, highest gas-demand months of the year. 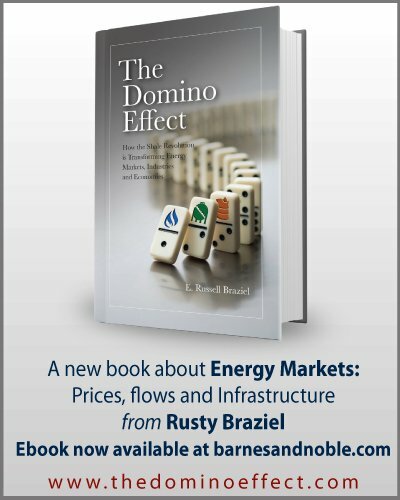 But, as we discussed in Hazy Shade of Winter, gas production by then had continued growing and blown well past previous record highs; prospects of a cold December to shore up residential and commercial heating demand (res/comm) were fading, as the weather turned warmer than normal; and Dominion Energy’s 0.75-Bcf/d Cove Point LNG liquefaction and export project, which was expected to begin commissioning cargoes in November (2017), was experiencing delays. 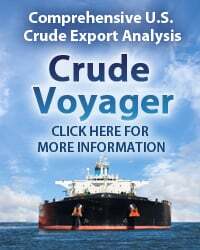 As a result, the storage deficit to last year shrank again, and the prompt futures contract had slipped into the $2.70s, from more than $3.00 a month earlier. Since December, production has continued growing, but demand has pulled well ahead of last year as well, particularly in the res/comm sector, and the storage deficit to the prior year has again expanded, this time to more than 600 Bcf. Normally, this would be price supportive. But that’s not been the case; as we noted above, prompt futures prices have stayed firmly in the $2.60-$2.80 range for the most part. What’s behind the expanding storage deficit and why aren’t prices tracking? To understand that, next we review supply and demand fundamentals for this winter to date. 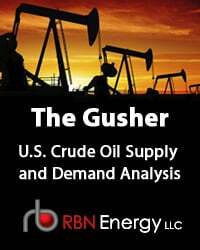 To access the remainder of Ghost on the (Trading) Floor - Why $3 Natural Gas Continues to Elude the Market you must be logged as a RBN Backstage Pass™ subscriber. Full access to the RBN Energy blog archive which includes any posting more than 5 days old is available only to RBN Backstage Pass™ subscribers. In addition to blog archive access, RBN Backstage Pass™ resources include Drill-Down Reports, Spotlight Reports, Spotcheck Indicators, Market Fundamentals Webcasts, Get-Togethers and more. 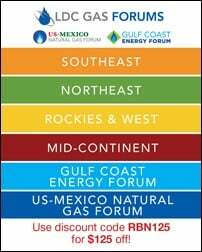 If you have already purchased a subscription, be sure you are logged in For additional help or information, contact us at info@rbnenergy.com or 888-613-8874. 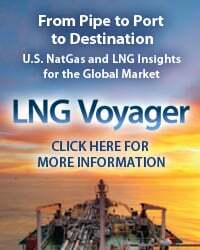 Razor's Edge, Part 2- Could U.S. Natural Gas Stocks Catch Up This Winter? 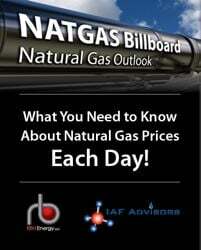 You Keep Me Hangin' On- Will U.S. Natural Gas Avoid A Collapse This Year?